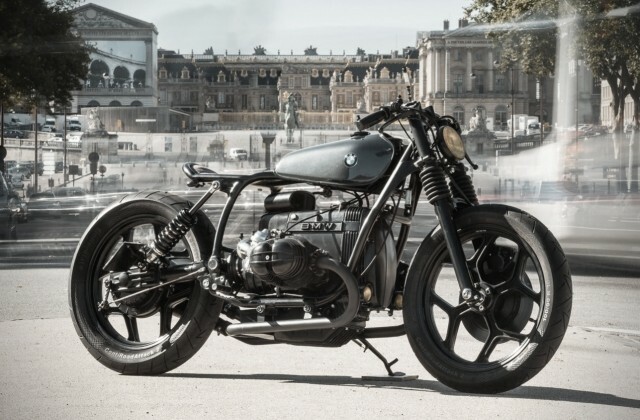 In the world of custom motorcycle, the Versaille-based builder names, such as Vincent Amar, Thomas, Anthony Letourneur and Denis Pereira is well known. More recently they teamed up to work on a unique motorcycle, in order to appear different from the works of other countries builders and to show that only the Frenchmen alone who can resolve a smooth looking motorcycle but still has a fierce aura. And the motorcycle took as the base was a 1987 BMW R80RT, and built as a drag strip motorcycle, as well as worked in the Le French Atelier workshop. 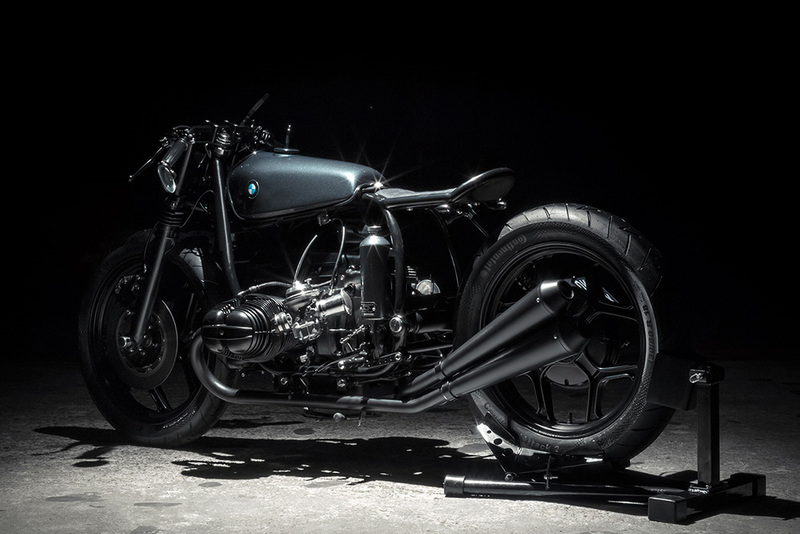 The BMW motorcycle was once a former police motorcycle. To made the motorcycle looks low profile, they began to create a custom sub-frame and included the single-die swing arm feature, and to keep the balance they bare the disc brake at the front and its mounted caliper as well. The motorcycle's fuel tank has finished in gun metal gray color. Those tank alone was taken from Yamaha DTE125 motorcycle that has been modified. And the features such as the spedoo meter, turn lights and buttons also complement the motorcycle. And its machine not changed at all, only given a matte black and smooth flat gray colors, once complete, the motorcycle is ready to ride at the streets in France.